Phil Fersht, HfS: Frank, in a nutshell, why did you make this investment? 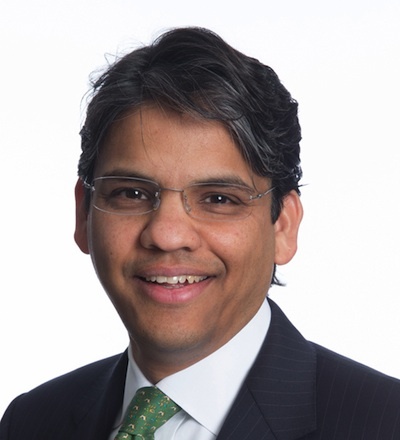 Frank D'Souza, Cognizant: Hi Phil - the acquisition of TriZetto is in response to some powerful trends that are fundamentally changing the U.S. healthcare industry today—including the Affordable Care Act, shifting responsibilities between payers and providers, and the desire for employers to contain risk and reduce cost. By combining technology and operations, we have a phenomenal opportunity to build ‘the winning business model of tomorrow’ and play a key role in keeping people healthy and well. Today, approximately half of the U.S. insured population have their health benefits managed by TriZetto software, and we see tremendous synergy opportunities to join that with our $2.5 billion healthcare and life science practice. By marrying TriZetto’s world class products with Cognizant’s consulting, IT and business process services, we are confident that we can capitalize on opportunities that neither company could access individually. This move is also consistent with our overall three-horizon strategy, and brings new markets, new technologies and new delivery models to our portfolio. It moves us very significantly in the direction of adding non-linear, IP based revenue. Phil, HfS: How will this change Cognizant? Doesn’t this turn you into a software firm, in addition to services? How will this impact your culture and they way you work with clients? Will you need to bring in new skillsets of sales/marketing/engineers, etc.? Frank, Cognizant: We are committed to offering services across a range of products and technologies. We also believe that there is a growing demand for fully-integrated technology and operations using newer delivery models made possible by Cloud and digital technologies. These so called BPaaS or utility models are very powerful and this is what TriZetto represents for us in healthcare. Our approach has always been to start with the market and focus on how best to satisfy our clients’ needs. This acquisition is driven by that client-focused strategy. Our clients are looking to us to provide integrated, end-to-end solutions that drive differentiated results for their own customers. And, of course, everyone wants to lower costs. A few weeks ago we announced the signing of a Letter of Intent for a seven-year, $2.7 billion engagement with Health Net, a top 10 managed care organization in the US. The business model resulting from this deal is expected to be a benchmark for the industry, enabling Health Net to improve its quality of service, reduce G&A spending, and increase its agility in launching new products and participating in new markets. We think there are significant opportunities in the marketplace for deals such as Health Net and the combined capabilities of TriZetto and Health Net accelerate our ability to win such similar deals. On your question of culture, an important factor in our decision to acquire TriZetto is that it’s a company we have known and done business with for many years. Currently, we are supporting TriZetto platforms for more than 30 clients. We are very familiar with the company, its people and its culture, and are excited to have their team join Cognizant. Because TriZetto brings in very differentiated capabilities, we think it is important to maintain TriZetto as a separate business within our Healthcare business segment. In doing so, we will continue to leverage the Trizetto brand and look forward to benefitting and learning from TriZetto’s strong, product-oriented culture. Phil, HfS: Is healthcare becoming the “new financial services” in your view, with the amount of secular change, regulatory impact and disruption going on? The first is technology-based, as clients are looking for industry-focused, as-a-service solutions that leverage the latest technologies (such as SMAC and digital), enhanced by the insights that come with managing large pools of data. The second force is the massive transition underway in the U.S. healthcare industry driven by the Affordable Care Act, demographics of an aging population, the desire of employers to shift risk and contain costs, and shifting responsibilities between payers and providers. At about $2.7 trillion of total spend, the industry is equivalent to nearly one-fifth of U.S. GDP. The combination of these two factors is driving fundamental changes to every constituency in the value chain. At the same time, payers and providers in particular need to focus on making their operations as efficient as possible, while at the same time investing to drive growth and innovation in an increasingly competitive environment. We call this the ‘dual mandate’ and it’s what makes the combination of Cognizant healthcare with TriZetto so strategically compelling for our healthcare clients. We see clients like Health Net as indicative of the broad need in healthcare for end-to-end solutions that respond to the dual mandate, and we believe our combination with TriZetto will provide a unique market alternative for healthcare clients looking not only to survive, but to thrive in the new healthcare context. Phil, HfS: Do you see major ramifications from the services industry at large from this move? Do you expect to see your competitors making similar investments or will their heads remain in the sand in denial that the fundamentals of the services industry are rapidly shifting? Frank, Cognizant: We and our peers in the services sector have talked for a long time about adding non-linear, IP-based revenue. For us, this acquisition is an important step in that direction. And we are taking this step with one of our strongest verticals. TriZetto’s current revenue base of $711 million (for twelve months ending June 2014) is highly predictable and non-linear. About two-thirds of TriZetto’s revenue is recurring. Also of note is that 40 percent of Trizetto’s revenue comes from payer software and 20 percent from provider software-as-a service model. This has led to a comprehensive portfolio of offerings to approximately 350 payers and approximately 245,000 providers. Like Cognizant, TriZetto is successful because it marries highly refined processes with deep domain expertise. This is why we are truly excited about what TriZetto brings to our business and customers. Jointly we can help our healthcare clients to meaningfully lower healthcare costs, improve quality of care, and make a positive difference to millions of lives. Phil, HfS: Thanks for taking time out of your insane schedule to talk to us - we appreciate it, Frank! I think it's fair to say that many traditional service providers believe that the fundamentals of the services industry are shifting, but mere belief doesn't mean anything if it is not matched by change in strategic direction! It takes a company like Cognizant to demonstrate the conviction to take a big bet and disrupt the model! It was also great to see Frank's viewpoint that Cognizant wants to keep Trizetto as a separate business within its Healthcare business segment. Software product companies have a DNA that is very different from traditional IT services companies! Many services companies have acquired product companies and tried to integrate it too quickly ending up with mismatched business models! Cognizant is at least philosophically in the right direction by asserting that they aspire to learn from Trizetto's product oriented culture! That is the right thing to do!! Insightful interview - healthcare is definitely the new financial services! Enjoyed reading this, Phil and Frank. Its not only the size of the investment, but the strategic focus on healthcare IT. Great coverage on this by HFS - the best by a long way. It marks a clear shifts in poles towards major industry focus ( not just vanilla but also the depth of cake too), while US is the focus market here, I would be keen to see the extent of this leverage across other global regions... I potentially see similar niche moves if not by size from other players to scale by region, domain and technology areas! Recently the Rockerfeller Fund and others announced that they would move over 50b investments in fossil fuels over to clean energy, the context is different and the reasons complex but a tipping point that beckons a different path is at hand. As a similar change is in motion in our services industry, CTS believes this is a real strong future that needs a sizeable start to shift customers and markets over, this is not a staged up to sell private business, but a real solid proven foundation to a much larger business in 3-5 years. Hence worth the 2.7B. Over time the legacy business will stagnate and perhaps shrink, so be it. Do they really need to integrate much? This is a not a big bet as somebody called it, in effect this 700M biz could become THE business in a few years. Guess CTS will need to look at two of its largest businesses and establish such models. Perhaps in BFSI it will be not one but 2 or 3 sizeble buys - which are the candidates?